The eagerly anticipated sequel to 2011's "The Muppets" is here! 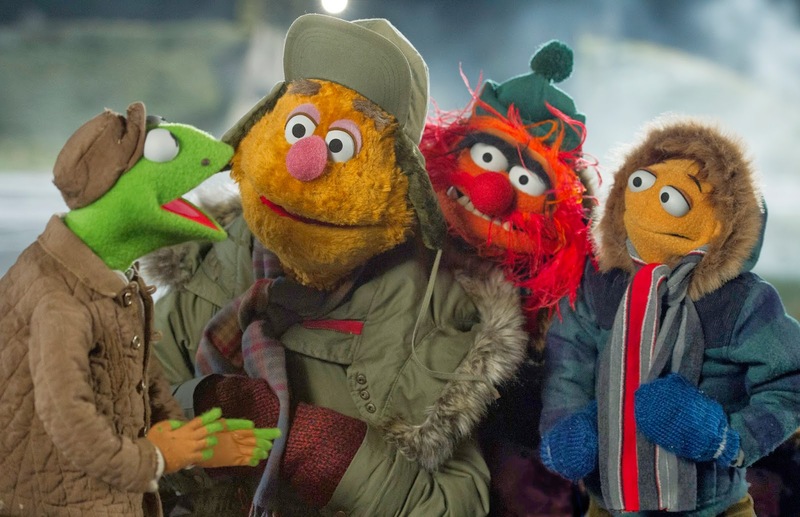 After revitalizing The Muppets brand, where would director James Bobin and co-writer Nicholas Stoller take the gang now? Well, they start by literally starting the movie right after the last one ended! In the best song of the entire movie, the opening number is pure magic! Then we find that The Muppet gang have no idea what to do after their successful return to the stage. 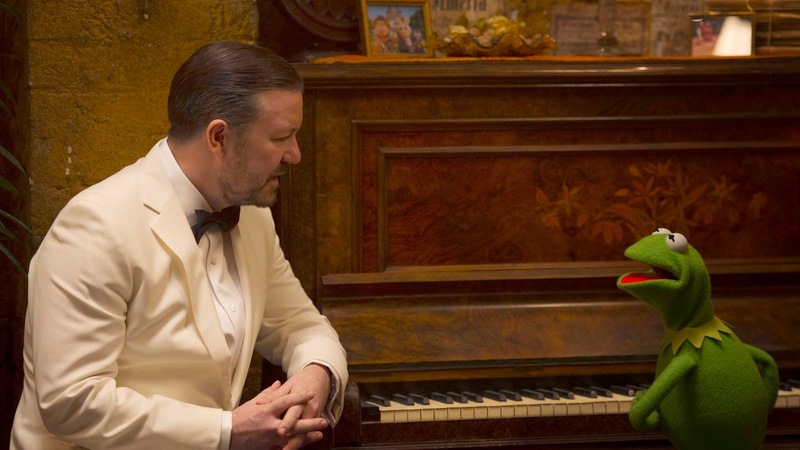 They meet Dominic Badguy (Ricky Gervais) who promises them as their new manager he will take them on a world tour. All The Muppets are excited by this except for Kermit. But Kermit isn't there for much longer as is switched identities with the world's most dangerous criminal Constantine, a dead ringer for Kermit minus a mole. Dominic is Constantine's number two and have planned this world tour to led them on a world tour of crime! 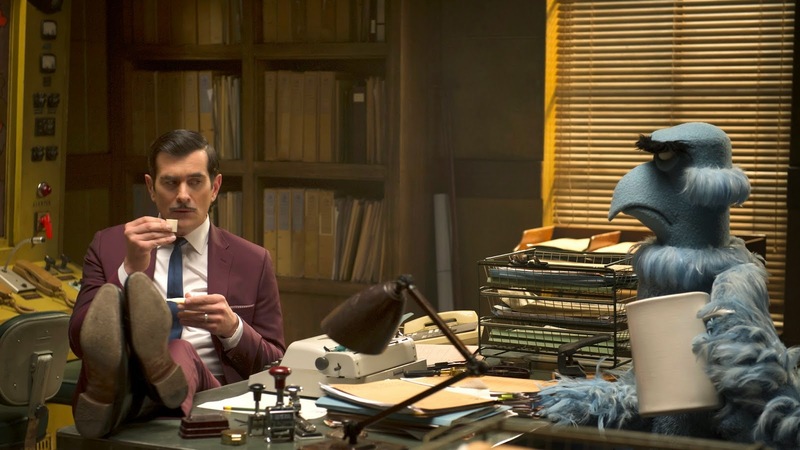 In hot pursuit of these crimes is Interpol Inspector Napoleon (Ty Burrell) and C.I.A. Agent Sam Eagle. 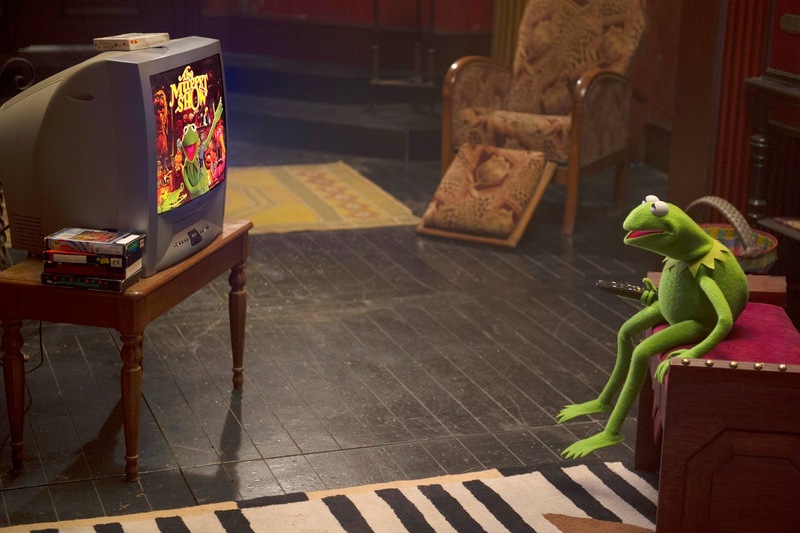 And in the meantime Constantine watches old Muppet Show episodes to be able to impersonate Kermit. Only one Muppet knows that this is a Bad Frog! Wait until you see who it is! But where is Kermit you ask? 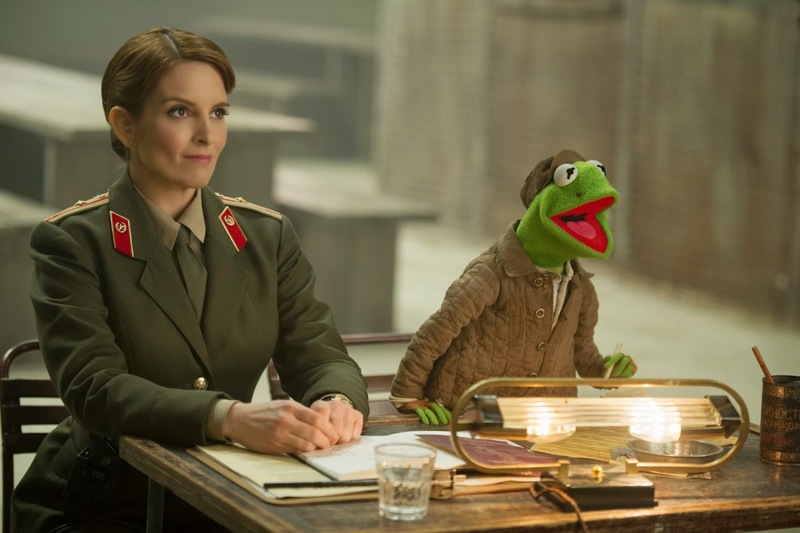 He is in a gulag in Siberia run by Nadya (Tina Fey), who runs a strict prison but in turn needs Kermit's help for the annual prison show. Be prepared for some epic musical numbers here! Fozzie, Animal and Walter help Kermit escape. But will they be in time to be able to save the day? Find out when you see Muppets Most Wanted as it opens in theaters today! There are tons of great celebrity cameos that I will not spoil here. There is the typical zaniness that you would expect from The Muppets. And Constantine is responsible for perhaps one of the greatest sight gags ever seen in a Muppet movie! Add to that with some great songs from Bret McKenzie and you have a sequel that actually improves upon the last film! I already look forward to the next movie!